The Rt Revd Venables, Bishop of Nassau, and at least four of the sons listed on the block under this cross died in the USA or West Indies, and are not buried here. The grave contains only his son and daughter who died in England. Addington Robert Peel Venables was born in St George’s, Westminster in 1827 and baptised at Aldenham in Hertfordshire on 16 September: his co-sponsors were Lord Sidmouth (Henry Addington) and Robert Peel: hence his three forenames. His father was Thomas Venables of the Home Office, private secretary to Lord Sidmouth and Sir Robert Peel, and his mother was Anne King, daughter of John King of Grosvenor Place in London, and Coates Castle in Sussex, who had been Under-Secretary of State for Foreign Affairs. Venables was educated at Eton, and then went up to Oxford, where he was matriculated from Exeter College on 23 January 1845 aged 17. He kept a pair of horses at Oxford, and enjoyed hunting. He obtained an honorary fourth class in Classics in 1848. His parents were now both dead, and his godfather Sir Robert Peel suggested that he should enter a diplomatic career, so he went abroad to study modern languages. Sir Robert died on 2 July 1850 while he was away, and the Revd Edmund Hobhouse suggested to him that he should instead enter the church. In 1850 Venables duly entered the Theological College at Wells, and he can be seen there as a student at the time of the 1851 census, lodging in the home of a relieving officer. He was ordained deacon later in 1851, and served as Curate of Cuddesdon from 1851 to 1852, when he became a lifelong friend of Bishop Wilberforce. The result of this effort was the final abandonment by the university of their Free School, the curate’s new buildings not only providing an ample and sufficient education within their own radius, but so stimulating and raising the standard of other schools, that Mr. Venables’ far-sighted exertions may be said to have made him the pioneer of a higher and more extended system of education for the lower classes of the university city at large. These works were not achieved, as it may be supposed, without considerable cost; and in addition to his own munificent contributions, Mr. Venables was occupied at the time in raising the necessary funds in every way that he could devise. On one occasion (I am indebted to Mr. Moss, his old schoolmaster, for the story), while taking a country walk with a friend, Venables led the conversation to the subject of the buildings then in progress, and endeavoured to get a subscription out of his companion towards the school. Athletics were not then much in vogue, and the curate of St. Paul’s had, moreover, no special reputation for hurdle-racing, so his friend instantly closed with him and accepted the bet. The curate took a short run, cleared his hurdle in very fair style, and gaily added his winnings to the school subscription list. In connection with Mr. Venables’ work amongst the younger members of his flock, ought not to be forgotten the special services which he began soon after his arrival, for his own boys and the lads employed during the week at the University Printing Press. They were, in fact, “Children’s Services” — some of the earliest of the kind; now a popular and almost necessary adjunct of our Church worship, but then almost unknown. 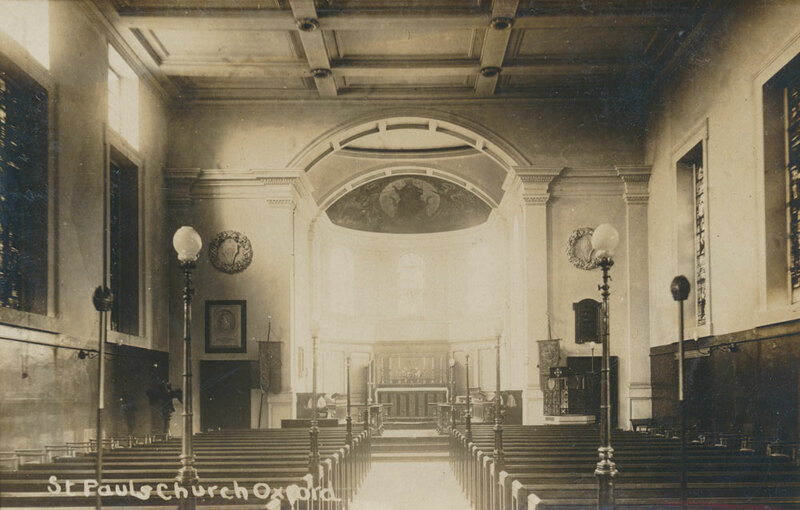 Every Sunday morning he gathered his boys together in the Chapel of St. Sepulchre, and a shortened form of Morning Prayer, with hymns and a plain address, constituted the service. These gatherings were most successful; and Mr. Venables’ addresses to his boys are even now remembered, for their simple, loving earnestness, by many who have long since grown up to manhood and passed away. Amidst all these several avocations, the duties of the parish at large were not forgotten. In pastoral visitation Venables had indeed few equals. The whole day was spent among his people, and in times of violent sickness he was often up at all hours of the night besides. And nothing daunted him. The terrible infections from which most men pardonably shrink had little or no personal terrors for himself; indeed, as in the case of the awful scourge of cholera in his parish, they exercised upon him (as he once told me) a kind of strange and unearthly fascination, drawing him into the pestilence-stricken quarters, and within the houses and chambers of the dying, where he, perhaps the only watcher beside some rapidly ebbing life, soothed the last moments of the sufferer by his word and touch, and kissed the pallid brows upon which the dews of a horrible death were already gathering. Venables' “striking features were said to have been used, consciously or unconsciously, by Holman Hunt for the face of Christ in 'The Light of the World'.” in the early 1850s. 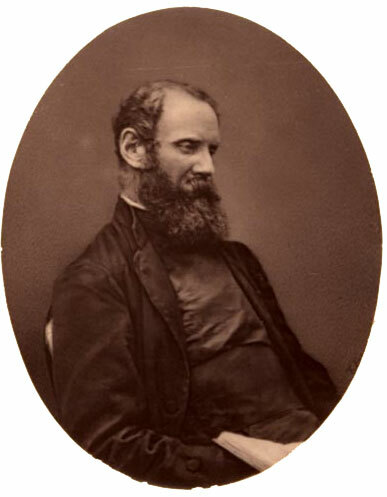 Venables was ordained Priest in December 1853, and continued to serve as Curate of St Paul’s. At the time of the 1861 census Venables was the head of the household in his “humble dwelling” in Walton Street, and Charles Moss, the schoolmaster who was in his employ, lived with him. They had a housekeeper and a housemaid. On 1 July 1862 at Long Critchill, Dorset, Addington Robert Peel Venables married his cousin, Elizabeth Ann Venables King (known as Lilla): she was born in Long Critchill, Dorset in 1835/6), and her father William Moss King was Rector there. Following his marriage, Venables and his wife moved into a finer house in the Crescent, Park Town, and he continued to serve as Curate of St Paul’s. Three sons died in childhood in Nassau: Walter Venables (before 1870), Henry Venables (1870), Robert Venables (1871): one of them is the unnamed son whose birth at Nassau, Bahamas on 1 April 1871 was announced in the press. Canon Bostock also deciphered a Wilson Thomas Venables who died 1887, but this is a mystery and seems unlikely. James Geoffrey Venables (born at Field Green, Kent on 23 July 1875 and baptised at Hawkhurst, Kent on 19 August). † Thomas Venables died at Park Town when just a few hours old on 30 October 1863 and was buried at St Sepulchre’s Cemetery on 2 November (burial recorded in the parish register of St Paul’s Church). 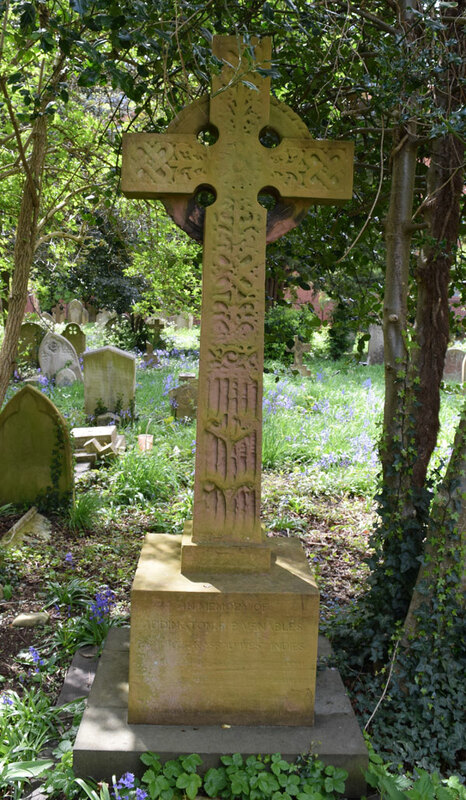 This tiny baby has the largest cross in the cemetery, and lies with the poor of St Paul’s parish who had died of cholera (the victims of the second and third Oxford outbreaks in 1849 and 1854). The New Bishop is about thirty six years of age and wears a long beard and moustache. He is a very High Churchman, St Paul’s Oxford, being noted for its “ritualism”. On 4 February 1864 Venables was admitted to the degree of Doctor of Divinity in the University of Oxford, honoris causa. In the same month he set sail with his wife from Liverpool. The separate ship carrying all his books, papers, and personal effects foundered in the Channel; and the University of Oxford gave him a present of books, in recognition of his care of the boys at the University Press while curate of St. Paul’s. His new diocese was scattered over many islets, including the Turks and Caicos Islands, comprising a population of about 40,000 on an acreage of 6,000 square miles, and he was aided only by fifteen clergymen. Five children were born in his house in Nassau, and three of them died in infancy (Walter, Henry, and Robert). The “Jericho” people received me as heartily as ever. I am still “Mr. Venables“ to them, which I feel more than any amount of “My lord”-ing. I had a little meeting in the schoolroom, which was very pleasant. Mr. Noel has got hold of the people in a wonderful way. I never made anything like the way with them that he has done. † Anne Catherine Venables died in the Marylebone district of London at the age of 9 on 8 December 1875 and was buried at St Sepulchre’s Cemetery on 11 December (burial recorded in the parish register of St Paul’s Church: their reference P.30). † The Right Revd Addington Robert Peel Venables, D.D. died at Hartford, Connecticut at the age of 49 on 8 October 1876 and was buried there. His effects came to nearly £10,000, and his executor was the Revd Francis King of Christ Church, probably the brother of his wife. THE BISHOP OF NASSAU.—We regret to announce the death of the Bishop of Nassau, at Hartford, Connecticut, on the 8th inst. Addington Robert Peel Venables was the eldest son of Thomas Venables, Secretary to the first Lord Sidmouth, Sir Robert Peel, &c. He was educated at Eton and at Exeter College, Oxford, where he took his degree in 1848, and was ordained in 1851 to the Curacy of Cuddesdon, from which he was transferred in 1852 to the poor district of St. Paul’s, Oxford, where his name will be long remembered for his labours among the poor of that parish. In 1868 the lately founded See of Nassau fell vacant, and the appointment was offered by the Duke of Newcastle to Mr. Venables, who was consecrated the same year. Early in 1864 Bishop Venables arrived in Nassau, then, as the chief blockade-running port, sharing all the excitement of the American Civil War. In 1869 the Local Government, following the lead of Jamaica, disestablished and disendowed the Church in those islands, and Bishop Venables’s efforts since that time have been directed to the re-organization and re-endowment of the Diocese. In May last he was attacked with severe illness, which terminated fatally on Sunday, Oct. 8. For more information about Addington Robert Peel Venables, see William Frances Henry King, Addington Venables, bishop of Nassau: A sketch of his life and labours for the church of God (London, W. W. Gardner, 1877): online here. His papers are held in the Bodleian Library of Commonwealth & African Studies at Rhodes House. At the time of the 1881 census Mrs Elizabeth Anne Venables Venables [sic] (45) was living in Hampshire at Packham House, Fordingbridge with her two youngest sons William (8) and James (5). She employed a governess, a housekeeper, and three other servants. Her other surviving son Charles John Venables (14) was boarding at Godalming School. She married her second husband, Major General Charles Edward Cumberland, in Fordingbridge in the second quarter of 1883, and they went to live at the Manor House in Maidstone. Her son James Geoffrey Venables died on 17 December 1887, aged 12. Mrs Elizabeth Anne Venables Cumberland died less than eight years after her second marriage, on 14 January 1891, at 24 Ebury Street, London, aged 55. Her effects came to £1,779 17s. 5d., and her husband was her executor. Charles John Venables (born 1865) entered the army in 1885 and reached the rank of Captain in 1892. He married Helen Margaret Terry in 1895. He served in South Africa from 1899 to 1900, and was mentioned in despatches, won the Queen’s medal with two clasps, and the DSO. In the First World War he served as a Major in the Gloucestershire Regiment and died at Gallipoli at the age of 50 on 8 August 1915. He has no known grave, but is remembered on the Helles Memorial. His effects came to £7,058 3s. 1d. His widow was living at 7 Palace Place Mansions, Kensington Court just after the war. William Alfred Venables (born 1871/2) probably married Marjorie Mary Mure in about 1903, and their son Peter Addington Venables was born in 1905. William died at the age of 48 on 4 March 1920 at Fords Farm, Pirbright. His effects came to £1,106 3s. 1d.